Because of their complexity and depth, the tides and currents of xenophobia that have swirled though our country will only return to calm if diverse, precisely targeted strategies are used to ease tensions. Foremost amongst these is the address of poverty, a debilitating phenomenon that underlies almost every other social ill in this country. This is where the past Masifundisane project could help. A few years ago, the Masifundisane literacy programme was run successfully in KwaZulu-Natal, under the conscientious leadership of Mrs Cynthia Mpati of the Department of Education. It was directed at adults whose education had been fractured by apartheid. Cuba provided a model. Local unemployed KZN matriculants provided much of the teaching manpower, but local communities owned it and provided monitoring. 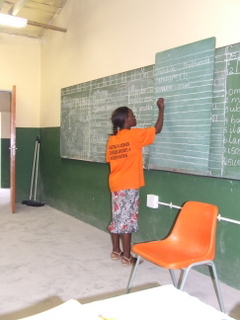 Masifundisane gave participants an education focused on their home language Zulu, as well as the language of the economy and much of the outside world, which is English. A more widely-scoped curriculum is now needed. Every component of the courses would be focused on achieving economic independence for the participants in the region in which they live, either as an individual, member of a collective or seeker of employment. There would be no wasted theorizing; just solid, practical, usable knowledge and skills. The development of suitable certification would be explored. Every component of the curriculum above should also be integrated into the public schooling system, perhaps in the Life Orientation curriculum of Grades 7, 8 or 9. We could adopt the Masifundisane (Google it, or check www.alexeducational.co.za and its linked sites for a summary) project as a model. It was a brilliant endeavour. Lessons were run in community halls, churches and school classrooms after hours, and every other venue available was employed in the task. Unemployed matric students taught for a modest salary, and the local community monitored and reported on progress. SABC radio and television programmes, NGOs, churches and businesses could be harnessed. SETAS could be incorporated (but solely for initial, basic curriculum content and emphatically not for the suffocating administrative and bureaucratic constraints the SETAS must implement). Instead of trading insults on the floor of parliament in the unseemly manner that has recently held sway, politicians might join forces to ensure that the proposed programmes work. Our society has not benefited from the past, indulgent mud-slinging; the fracas has given the nation a particularly bad model to follow and we are currently reaping the whirlwind. We need a return to propriety and proper work. Although a measure of socialism underlies the suggested scheme, businesses must surely see the advantage of striving to develop social equilibrium based on a proliferation of micro- and meso-businesses. Big companies and banks might adopt a local or municipal region and reap some cudos from their investment. ‘Ordinary’ citizens might contribute greatly. Basic funding can be built into the education budget each year, and some money might be transferred from the SETAS. Politics would have to be kept out of the mix as far as possible, if a programme such as that envisaged is to be run successfully throughout the country. The goodwill, input and resources of all political parties would have to be invited and accessed sensitively, while retaining a healthy measure of independent action and conscience. At a time of acute stress in international relations generated by the recent outbreak of xenophobia , the added burden of inviting internal social and political collaboration would be difficult to orchestrate. With the inbuilt oppositional tensions inherent in our democratic Westminster parliamentary system, it might prove impossible. But it is surely worth discussion and if feasible, implementation. The benefits of success would be enormous. A model derived from Cuba, involving government initiatives might smack too much for some people of ‘creeping socialism’. On the other hand, success would bring economic freedom for many, with a measure of independence from the present widespread state support. I believe that in this case, the ends justify the means. It would mean a brave new world for many. The Masifundisane project is described in some detail under Community Empowerment through enhanced literacy at: www.alexsolutions.wordpress.wordpress.com and www.alexstoriesandart.blogspot.com . You might like to look it up. It’s a South African initiative of worldwide importance.